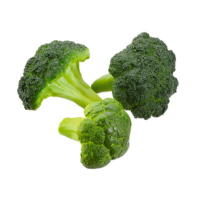 Amazing Produce offers quality artificial broccoli. Made for a variety of decorative installations. We have 100% fake, but real looking broccoli available in our collection that you can use for your decorating project. Fake broccoli have a large variety of applications and display purposes. Realistic faux broccoli is part of our collection. Brighten up your display with our plastic broccoli or use them in to complete your artificial vegetable exhibit with original looking but plastic broccoli. Our the quality of broccoli is so realistic, it is photo shoot ready. As a result, complete your faux vegetable display with our broccoli.